Bryan Series subscribers may renew their subscriptions here. Tickets for individual Bryan Series events will go on sale August 2. 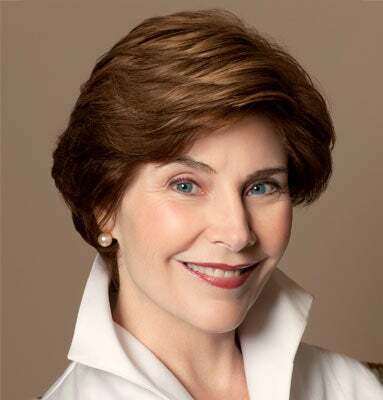 Laura Bush is one of the most beloved and admired American First Ladies (2001-09). For decades she has championed key issues in the fields of education, health care and human rights. She has traveled to more than 76 countries, including two historic solo trips to Afghanistan, and has launched groundbreaking education and healthcare programs in the U.S. and abroad. She is author of the bestselling memoir, Spoken From The Heart, and a bestselling children’s book, Our Great Big Backyard.